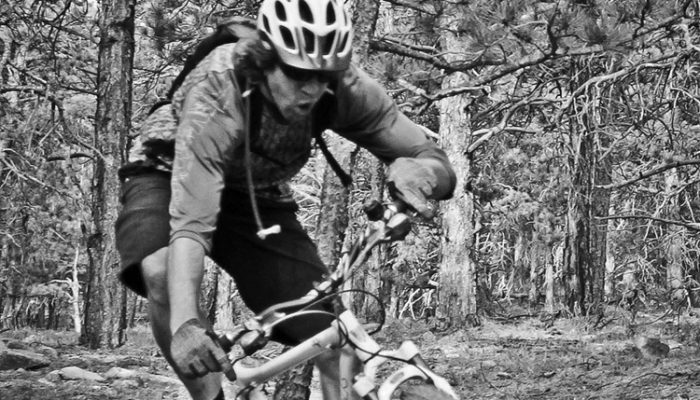 Between spinning wrenches in bikes shops, guiding trips all over the West, and writing, producing, and editing cycling-specific web content for the bike industry’s best shops, Russell slashes rubber on singletrack more than most. Living at 8,500 feet in the Rockies gives him a daily commute that exceeds most people’s best ride of the year. You’re likely to find him in the woods maintaining and building trails, or out of the woods coordinating bike-to-work events, and encouraging others to get on a bike. Averaging over 200 days of singletrack a year, in addition to living and breathing the off-road lifestyle, it can easily be said that singletrack runs through his veins. Outside of the bike world, Russell also snowboards, XC skis, hikes, eats a lot and enjoys watching small town politics from a safe distance.